We’d love your help. 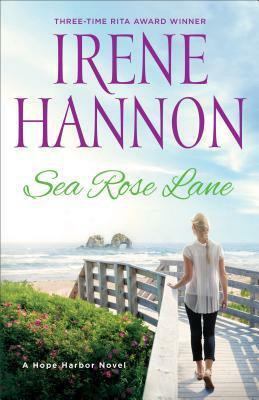 Let us know what’s wrong with this preview of Sea Rose Lane by Irene Hannon. To ask other readers questions about Sea Rose Lane, please sign up. Very touching and uplifting; just how I like my Christian fiction. I want to say that I enjoyed this book, but I didn't. It was sweet and I do think others will like it, but it never pulled me in. An ARC was received from NetGalley in exchange for an honest review. For me, this book was boring. It was practically all internal thoughts which dragged on and on. There were some good stories behind the thoughts, but I thought they were presented in a dry way. Sometimes page after page of introspection can be too much. First you have them internalizing their thoughts I want to say that I enjoyed this book, but I didn't. It was sweet and I do think others will like it, but it never pulled me in. An ARC was received from NetGalley in exchange for an honest review. For me, this book was boring. It was practically all internal thoughts which dragged on and on. There were some good stories behind the thoughts, but I thought they were presented in a dry way. Sometimes page after page of introspection can be too much. First you have them internalizing their thoughts while they are talking and then you have them going back over those thoughts after the fact. But it's the same thoughts. Most of Eric's page time is spent on his mental debate about what to do with his future career. Should he return to a grueling law practice or should he paint? He's interested in BJ, but he'll be leaving soon if he pursues his legal career. It became very repetitive after a while. I knew his internal debate. I didn't need to read it over and over. And if Eric isn't providing enough angst, you have BJ providing angst. I wasn't too enamored of BJ. She was a little too stiff and unapproachable for someone who is building a business and involved left and right in church and community activities. She's all angst with her Helping Hand project that she wants to develop for the elderly. It's a good project, but where are all the other members of the community? Why is she doing everything single handedly until Eric shows up? For instance, I thought it was really odd that BJ was the only one volunteering to create scene sets for the fund raising play. Generally wood working students, art students and drama club members are always volunteering to help on the sets for the plays. This seemed more contrived to set up BJ and Eric alone than to make it realistic. I would have rather have seen them developing an interest in each other but trying to keep it on the down low around students. There have been a lot of positive reviews about the town of Hope Harbor, but I have to say that I never got a feel for the town. We primarily only got to know Eric and BJ. We get a glimpse of a few people in the town, but they felt flat and undeveloped. This may have been because there was so much effort placed on setting up BJ and Eric to be alone that everyone else just seemed like filler. Even Eric's Dad and his project to remodel his house into a Bed & Breakfast seemed like filler. The best part of this book was the story of Louis as a Cuban immigrant who lost his wife in their flight to the US and needed a reason to live. I really liked Louis's story. But then we also had Charley who was the "guiding angel" of the story, but he felt more like a busy body. So with the exception of Louis, I was never really pulled into any of the character's lives. This is a very clean, Christian based romance. I wasn't familiar with this author and after reading a few darker thriller/mysteries was looking for something a little lighter. I, however, prefer my Christian based reading to be what I would call "Christian lite". This is not "lite", but very much a Christian based life book involving God and scripture in almost every mental debate and discussion. For those looking for a heavier version, this will probably be a good fit. This is also a sweet and clean romance which is sometimes difficult to find. For the most part I found the story slow moving, too much angst, a little too contrived and a little too much on the sermonizing. There were some good takeaways from this story that are enriching and important, however, I felt like they were lost among the repetitive angst. For me this was 2 to 2.5 stars. It was relaxing and fun to return to the town of Hope Harbor on the Oregon coast with Irene Hannon’s second book in the Hope Harbor series. Sea Rose Lane can stand alone if you haven’t read book one. I enjoyed seeing the quirky and intuitive Charley again and the side story involving Luis was very moving. I liked BJ and Eric and enjoyed seeing their relationship bloom. Both of them were battling internal hurts. BJ had a painful past relationship that hung over her and made trusting men difficult. It was relaxing and fun to return to the town of Hope Harbor on the Oregon coast with Irene Hannon’s second book in the Hope Harbor series. Sea Rose Lane can stand alone if you haven’t read book one. I enjoyed seeing the quirky and intuitive Charley again and the side story involving Luis was very moving. I liked BJ and Eric and enjoyed seeing their relationship bloom. Both of them were battling internal hurts. BJ had a painful past relationship that hung over her and made trusting men difficult. Eric lost the powerful job that defined who he was. But Hope Harbor has a way of instilling hope in those who move there. This was an enjoyable contemporary romance. ARC received from NetGalley for an honest review. Irene Hannon has done it to me again! SEA ROSE LANE captured my heart from the very first page and never let it go. The characters in Hope Harbor are quite eclectic and kept me giggling through out this wonderful story. Irene Hannon writes romantic suspense stories and yet, she totally captures the feelings of a sweet and clean romance. I love the way Ms. Hannon wraps the story around your heart so much so that you feel as if you are right there in the middle of things, crying and laughing with all the characters. Eric has just moved back home to Hope Harbor after being laid off at a prestigious law firm where his goal was to become a partner. When he gets back home he discovers that the house is being converted into a bed and breakfast inn. Not only that but a beautiful woman, BJ, is in charge. BJ is a city girl and she recently moved to Hope Harbor after her heart was shredded. SEA ROSE LANE brings these two together, even though they rub each other wrong at first. Their story is filled with romance and some mystery, but mostly it is about making a relationship grow from the ground up. I know Irene Hannon writes outstanding romantic suspense, but her contemporary stories are my favorite by far. Sea Rose Lane, set in a picturesque small town on the Oregon coast, is filled with appealing characters who face true-to-life situations and are met with hope. Secondary storylines, such as those of Luis and Eleanor, provide even more richness and depth. It’s a poignant story that covers a wide range of emotions, and it captured my attention from the very first page. I was really drawn to BJ and Eric. BJ, carrying a little guilt that she didn’t move in time to help her grandmother, is intelligent, hardworking, and has a heart for others. Eric is a charismatic high achiever who, as the story progresses, becomes less certain of his goals. As for his faith … “For a man who preferred definites to maybes and facts to fancies, leaving tomorrow to the whim of fate – or God – was downright scary.” They have great romantic chemistry and their initial meeting is hilarious. Only Irene could draw readers to such whimsy characters as two seagulls and a seal. And then there’s Charley! We may never know if he’s simply eccentric or his wisdom involves something more, but he is a favorite of mine. I wish this series could go on and on, because I’ll never get enough of Hope Harbor and its residents. First, the disclaimer. "I was provided a free copy of this book. All opinions are my own." That done, SEA ROSE LANE is the second book in Ms. Hannon's Hope Harbor series, but it easily stands alone but fans will want to read Hope Harbor, the first book in the series by the same name. BJ was prickly at first and I didn't think I would like her, but she did soften up considerably as the story progressed. I like her heart toward the elderly and the down-trodden and how she wanted to give them hope. First, the disclaimer. "I was provided a free copy of this book. All opinions are my own." That done, SEA ROSE LANE is the second book in Ms. Hannon's Hope Harbor series, but it easily stands alone but fans will want to read Hope Harbor, the first book in the series by the same name. BJ was prickly at first and I didn't think I would like her, but she did soften up considerably as the story progressed. I like her heart toward the elderly and the down-trodden and how she wanted to give them hope. The taco man was just something else. One can't help but love him. Eric is floundering, losing a job (downsizing) that he'd planned on for the long haul. He comes home to find out his dad is turning the family home into a bed and breakfast and has taken cooking classes, and well, then there's the hot woman in charge of the project... He also had a heart for the hurting. I liked him considerably. Of the books in the series so far, Sea Rose Lane has been my favorite! Again, Irene Hannon brings the characters to life in a very engaging way, with a continuation of the other quirky cast from the first book. What's nice is, it doesn't matter if you've not read book 1, as this one is easy to get without really concerning yourself over what might have happened previously. Overall, the book struck a chord with me. In Sea Rose Lane, Eric Nash comes to Hope Harbor after losing his high profile atto Of the books in the series so far, Sea Rose Lane has been my favorite! Again, Irene Hannon brings the characters to life in a very engaging way, with a continuation of the other quirky cast from the first book. What's nice is, it doesn't matter if you've not read book 1, as this one is easy to get without really concerning yourself over what might have happened previously. Overall, the book struck a chord with me. Few authors can successfully write in more than one genre, but Irene Hannon is one who is as adept at penning contemporary romance as she is crafting a suspense novel. Sea Rose Lane takes readers on a heartfelt journey back to Hope Harbor, Oregon, in this engaging story. Hannon populates this small coastal town with a diverse cast of personalities, adding depth and character to this multi-dimensional tale. BJ and Eric's stories drew me in, and their growing attraction is perfectly paced and auth Few authors can successfully write in more than one genre, but Irene Hannon is one who is as adept at penning contemporary romance as she is crafting a suspense novel. Sea Rose Lane takes readers on a heartfelt journey back to Hope Harbor, Oregon, in this engaging story. Hannon populates this small coastal town with a diverse cast of personalities, adding depth and character to this multi-dimensional tale. BJ and Eric's stories drew me in, and their growing attraction is perfectly paced and authentically portrayed. Weaving a secondary storyline among the main focus on their relationship, Hannon deftly touches on issues such as aging, immigration, and prejudice without being preachy or heavy-handed. In fact, this novel wrapped me with its warmth and made me wish I could sit on eighty-eight-year-old Eleanor's porch and taste one of her desserts. If you haven't read Hope Harbor, the first novel in this series, this one is easily read as a stand-alone. (I inadvertently missed the first one but Hannon's writing immediately made me feel at home. But I now intend to backtrack and see what I missed!) Sea Rose Lane is the perfect summer read. Don't miss it! When attorney Eric Nash arrives back home in Hope Harbor, he doesn't expect to get into a fender bender within his first few minutes. He also doesn't expect his father to be remodeling his childhood home into a Bed and Breakfast. To make matters worse, he's distracted by the pretty blonde, BJ Stevens, in charge of the remodeling. BJ isn't wanting a relationship. Not at all. No matter how handsome her employer's son may be. But when the pair join forces to create a program for Hope Harbor's senio When attorney Eric Nash arrives back home in Hope Harbor, he doesn't expect to get into a fender bender within his first few minutes. He also doesn't expect his father to be remodeling his childhood home into a Bed and Breakfast. To make matters worse, he's distracted by the pretty blonde, BJ Stevens, in charge of the remodeling. BJ isn't wanting a relationship. Not at all. No matter how handsome her employer's son may be. But when the pair join forces to create a program for Hope Harbor's seniors, maybe, just maybe they'll be able to take a chance on each other as well. This one was pretty good. It's not my favorite one of Irene's contemporary romances. I'm still a big fan of her romantic suspense books. But this one was good. Of all of the characters in the book, I think that perhaps Charlie (fish taco hut owner) is my favorite. I love the way that he just has this way of knowing what needs be said/done. And that everyone accepts it. It was fun to catch up with characters from the first Hope Harbor novel too. While this is part of the series, it stands alone. But for a summer read, it's well worth it. This second book in the Hope Harbor series is just as intriguing as the first, though each book in the series works well as a standalone too. While BJ and Eric’s journey to happily ever after is the focus of this novel, it was actually Luis’ storyline that most captivated me. Don’t get me wrong – I loved the romance too (of course) but Luis’ subplot had so much dimension and emotion that I was always eager for an update. And Charley. Picture the big grin on my face. I adore Charley and his taco This second book in the Hope Harbor series is just as intriguing as the first, though each book in the series works well as a standalone too. While BJ and Eric’s journey to happily ever after is the focus of this novel, it was actually Luis’ storyline that most captivated me. 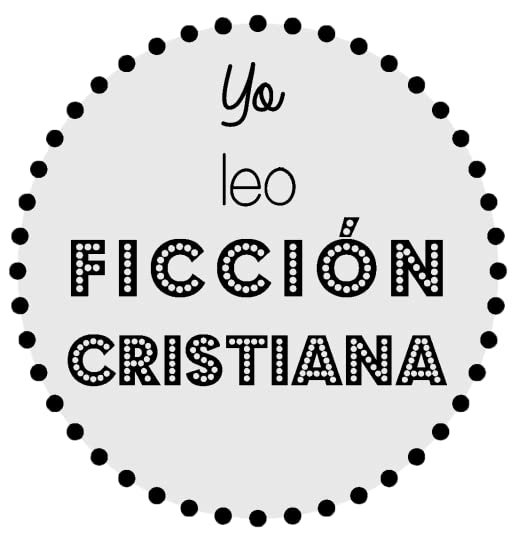 Don’t get me wrong – I loved the romance too (of course) but Luis’ subplot had so much dimension and emotion that I was always eager for an update. And Charley. Picture the big grin on my face. I adore Charley and his taco stand which dispenses as much wisdom as it does flavor. Hope Harbor is a wonderful small town. Reminds me so much of the feel of the small town in the Cape Light series by Thomas Kinkade. Filled with wonderful characters, these small towns just draw you in and make you want to head there on your next vacation. This book focuses on BJ, a local female contractor, who is remodeling John Nash's Victorian House for a bed and breakfast. John Nash's son, Eric, is the other main character. He has just been laid off from his prestigious, climb-up-the-ladder l Hope Harbor is a wonderful small town. Reminds me so much of the feel of the small town in the Cape Light series by Thomas Kinkade. Filled with wonderful characters, these small towns just draw you in and make you want to head there on your next vacation. This book focuses on BJ, a local female contractor, who is remodeling John Nash's Victorian House for a bed and breakfast. John Nash's son, Eric, is the other main character. He has just been laid off from his prestigious, climb-up-the-ladder law job with a corporate law firm and has headed home to Hope Harbor to figure out what he wants to do next with his life. BJ and Eric connect through her many volunteer jobs focusing on the elderly. BJ has moved past the hectic corporate climb, and Eric sees through BJ what life at a slower pace can mean in terms of a real life rather than a 80 hour work week. Charley, the taco vendor, once again works his all-seeing eye throughout the story imparting wisdom to many of the town's people. Luis, BJ's assistant, definitely shows Eric that life can be a whole lot worse than what he is feeling. Eleanor is a delightful senior who helps BJ put in place a program that can be a viable help to the seniors in Hope Harbor. I enjoyed how this story featured more mature (as in age) MCs and that neither of them were driven by overwhelming physical urges, pulses, or tingly unmentionables. I liked that the problems they were figuring out were real life problems and how they each showed sound judgment instead of knee jerk, emotional choices. I also appreciated the dual povs and the clean content. However, I was so bored. I wish that wasn't the case, but it was. I didn't connect to either of the MCs and their respective i I enjoyed how this story featured more mature (as in age) MCs and that neither of them were driven by overwhelming physical urges, pulses, or tingly unmentionables. I liked that the problems they were figuring out were real life problems and how they each showed sound judgment instead of knee jerk, emotional choices. I also appreciated the dual povs and the clean content. A warm hearted story about two people starting over in a small town. from the first page. Hope you enjoy this clean light romantic myster A warm hearted story about two people starting over in a small town. I have read several of Irene Hannon's books. This was one that shows fast pace life in the big city is not all it is cracked up to be! A "feel good" book. This was a nice continuation from the first book with just a few crossover characters, my favorite being Charley. I really liked the character of BJ Stevens; it's always fun for me to read about successful women in a field dominated by men - general contractors. Eric Nash was a strong character who returned back to Hope Harbor after being downsized from a large law firm. I liked their cooperative efforts to help make Helping Hands a successful program helping local citizens. It was overall a goo This was a nice continuation from the first book with just a few crossover characters, my favorite being Charley. I really liked the character of BJ Stevens; it's always fun for me to read about successful women in a field dominated by men - general contractors. Eric Nash was a strong character who returned back to Hope Harbor after being downsized from a large law firm. I liked their cooperative efforts to help make Helping Hands a successful program helping local citizens. It was overall a good read. There is something so familiar and comforting about an Irene Hannon contemporary romance. It is as cozy as cuddling under your favourite blanket, and you know exactly what to expect - beautiful romance, charming characters, a sweet setting, faith gently interwoven between the other story threads and multiple storylines. Sea Rose Lane totally delivers and it is every bit as charming as that title and cover would lead you to believe. Multiple story threads weave through this story. BJ and her cons There is something so familiar and comforting about an Irene Hannon contemporary romance. It is as cozy as cuddling under your favourite blanket, and you know exactly what to expect - beautiful romance, charming characters, a sweet setting, faith gently interwoven between the other story threads and multiple storylines. Sea Rose Lane totally delivers and it is every bit as charming as that title and cover would lead you to believe. Multiple story threads weave through this story. BJ and her construction crew, working on converting a home to a B&B. Eric, who has moved home after being laid off at a prestigious law firm only to find his home being torn apart by a vibrant woman and her construction crew. BJ herself moved to Hope Harbor after her heart was broken and her trust betrayed in a relationship gone wrong. Luis, one of BJ's workers, who has suffered much and who totters on the edge with depression. Eleanor, an elderly woman who is lonely but does not want to leave home, and so relies on BJ to help mend small things around the home. Eric's father, continually supplying food to all and gently guiding. A few familiar faces from Hope Harbor, the previous book in this series, including now happily married Tracy and Michael Carmichael. And finally, Charlie. Artist and taco chef extraordinaire. And matchmaker. Along with his friends Floyd and Gladys the seagulls, Charlie's good natured and providential guidance gently nudges Eric and BJ together. Those who have red the first book, Hope Harbor, will recognise the setting and some familiar faces, but otherwise the stories are separate and complete and can be read individually and in which ever order you choose. I loved Eric and BJ's relationship. There are plenty of sparks, but they attempt to take things slow. BJ has been hurt before and Eric isn't sure how long he will be in town. Their passion is as equally good as their friendship and I enjoyed both sides of their love story. I also enjoyed all the other characters and stories that make this book one of depth and yet uplifting and totally enjoyable. Overall, a fabulous book, simple yet multilayered and very enjoyable. Sea Rose Lane begins with an attention grabbing opening chapter, then engages you with the 2 main characters. This is just how a book should begin. This was a big improvement for me, as I felt the first book in the Hope Harbor series was a little slow paced. BJ is a big city architect who has been living in the small ocean town of Hope Harbor on the Oregon Coast for a year now. Eric, has just lost his high powered lawyer job in Portland, and has just arrived on a self imposed break to spend time Sea Rose Lane begins with an attention grabbing opening chapter, then engages you with the 2 main characters. This is just how a book should begin. This was a big improvement for me, as I felt the first book in the Hope Harbor series was a little slow paced. BJ is a big city architect who has been living in the small ocean town of Hope Harbor on the Oregon Coast for a year now. Eric, has just lost his high powered lawyer job in Portland, and has just arrived on a self imposed break to spend time back in his childhood home with his Father. The interactions, and connections that develop between BJ & Eric are a delight. They have more in common with each other than they first realize. I enjoyed the minor story of Luis, a Cuban immigrant - who is battling inner demons and is suicidal. The approach taken to this serious and very real life experience faced by so many, is done with sensitivity. The low points in the story for me was the pages of story from Eleanor's eyes. Often I sped read or just skipped it altogether. I appreciate there was an element to the story to bring her into the plot, but it could all have been handled without her first person account. While I appreciate what the author is trying to do with the 'those guys in high school were jerks for treating you that way because you were chubby' idea, was very unrealistic. Are you telling me Eric 'would' have treated her different? I highly doubt it. All the initial and even further on in the book, recognition of BJ that comes from Eric is focused on her slim build and physical beauty. It doesn't make that genuine acceptance. The other element of Charley's 'sixth sense' is starting to seem a little suspicious too. Is he all he appears? I think I preferred the way his actions and dialogue went down in the first book. It's starting to get too much now that he seems to spookily pop up and know things that have not been mentioned prior. I liked his lower key interaction a lot better. 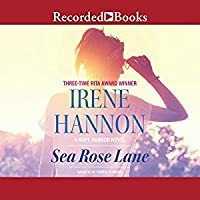 Irene Hannon in her new book “Sea Rose Lane” Book Two in the Hope Harbor series published by Revell Books takes us into the lives of Eric Nash and BJ Stevens. After a devastating layoff, attorney Eric Nash heads back to Hope Harbor–only to discover that his childhood home is being transformed into a bed and breakfast. Instead of plotting his next career move in peace, he’s constantly distracted by noise, chaos–a Irene Hannon in her new book “Sea Rose Lane” Book Two in the Hope Harbor series published by Revell Books takes us into the lives of Eric Nash and BJ Stevens. After a devastating layoff, attorney Eric Nash heads back to Hope Harbor–only to discover that his childhood home is being transformed into a bed and breakfast. Instead of plotting his next career move in peace, he’s constantly distracted by noise, chaos–and BJ Stevens, the attractive but prickly blonde architect who’s invaded the house with her motley crew. As for BJ, her client’s son might be handsome, but after a disastrous romance, dating isn’t high on her agenda. Yet when they join forces for to help Hope Harbor seniors, might they also find healing, hope, and a new beginning themselves? Welcome back to “Hope Harbor”. Let me say upfront that Irene Hannon has given us a terrific read and I do believe you will enjoy it a lot. Eric and BJ meet by accident and then find out that they have to work together. “Hope Harbor” deals with forgiveness, hope, letting go of old hurts and moving forward with your life. On top of everything there is also the romance. Ms. Hannon is an excellent writer and has given us wonderful characters in Eric and BJ that live and breathe and we come to care about them as we root for their success. If you missed the interview for “In Harm’s Way” and would like to listen to it and/or would like to hear the previous interviews where we discussed the first and second books of The Heroes of Quantico series please go to www.kingdomhighlights.org where they are available On Demand. I adore this series. Each book reads as a standalone but I love the continuity the familiar folks from Hope Harbor bring to each story. I especially adore Charley who crops up at the most convenient times with words of wisdom or silent acceptance as needed. There's something divinely inspiring about that man and his way with people...and critters. So, as first meets go, this one is a bust. Well, it's fun for the reader but not so much for BJ and Eric. Talk about making a bad first impression -- I adore this series. Each book reads as a standalone but I love the continuity the familiar folks from Hope Harbor bring to each story. I especially adore Charley who crops up at the most convenient times with words of wisdom or silent acceptance as needed. There's something divinely inspiring about that man and his way with people...and critters. So, as first meets go, this one is a bust. Well, it's fun for the reader but not so much for BJ and Eric. Talk about making a bad first impression -- on both sides. Kind of light-hearted with undercurrents of angst. Not to mention instant awareness. The words fairly crackle off the page as these two muddle through their first scene. Thing is, both have blinders on so their next meet and the one after that and...well, let's just say there are a lot of missteps before they sort out a wary truce. Scrumptious to read! Told from multiple points of view, Hannon weaves together a compelling story of loss and heartache. There are some edge-of-your-seat moments where I hardly dared breathe as I watched events unfold before my eyes. I love how this author meshes diverse threads into a triumphant conclusion that celebrates the hope being in relationship with God can bring. And she's an expert at throwing out unexpected zings of humour that always catch me off guard and have me laughing out loud. Book has been provided courtesy of Baker Publishing Group and Graf-Martin Communications, Inc. in exchange for my honest review. Looking for a book that paints an enticing picture of small town coziness, with characters that you come to love just because of their frankness and dependability? This one is a great option then. I loved each one of the characters and in trying to pick out a favorite one...sorry, I can't settle on just one. They each have their endearing personalities, and goodness gracious, my mouth watered through half the book because of Charley and his fish tacos! Now for my personal thoughts. :-J To me, I f Looking for a book that paints an enticing picture of small town coziness, with characters that you come to love just because of their frankness and dependability? This one is a great option then. I loved each one of the characters and in trying to pick out a favorite one...sorry, I can't settle on just one. They each have their endearing personalities, and goodness gracious, my mouth watered through half the book because of Charley and his fish tacos! Now for my personal thoughts. :-J To me, I found the storyline itself somewhat lacking, in that it revolved almost completely around the attraction and romance between Eric and BJ (spoiler: the initials stand for Belinda June). I can handle romance so long as it is well balanced with a compelling storyline, and unfortunately this one just fell a little short. It seemed like the whole time Eric was arguing with himself about what the future would hold, and it seemed to get a little repetitive. I know this is a personal preference, so please just keep that in mind. The quality of writing really was well done. Another issue I had was that Eric's spiritual life was somewhat lacking as admitted by himself, and you never see him praying for guidance about the decisions he has to make. Unfortunately you don't see any change in that area, and even though BJ brings it up as a concern at one point, it doesn't affect her decision in regards to her relationship with him. This was disappointing to me. Overall, I would probably give this about 3 1/2 stars, but once again, this is just my personal rating and in no way a reflection on the author, or the enjoyment others will most likely experience from the story. The setting of this book is peaceful and serene, a place where I would love to be! The charming , seaside town of Hope Harbor exhibits a typical, small town atmosphere, one that a person tends to either love, as I do, or hate, because of course, in a small town, secrets become gossip! In other words, there are few things that your neighbors don't know! Ms Hannon has an exceptional talent in describing her characters in such realistic detail, that you can immediately identify with them. The issue The setting of this book is peaceful and serene, a place where I would love to be! The charming , seaside town of Hope Harbor exhibits a typical, small town atmosphere, one that a person tends to either love, as I do, or hate, because of course, in a small town, secrets become gossip! In other words, there are few things that your neighbors don't know! Ms Hannon has an exceptional talent in describing her characters in such realistic detail, that you can immediately identify with them. The issues of self worth, the aging process, immigration and most importantly, second chances , are all sensitively addressed. The hope that follows all the obstacles that seem to suddenly appear as mountains in the way of progress , is one of which we all need to be reminded. The reader can feel the despair of the characters as they make their way down this winding road. The plot is extremely interesting being told from different points of view. As I read this book, there were times when my heart was in my throat!!! I could NOT put the book down. The unexpected twists and turns had me rethinking constantly of what would eventually happen . The underlying theme that is evident throughout the book gives the reader hope for the future. The answer to a successful and happy life lies in one's relationship with the Lord and the hope that that brings to one's soul. There are second chances!! God offers them willingly to us, but we have to allow HIm to take control and do it in HIS time not our's! Definitely a five star book!! Irene Hannon has written another winning novel! This book was provided by Revell, and Graf-Martin Communications , in exchange for a fair and honest review. Available now at your local booksellers. As someone who spent quite a bit of time along the Oregon coast during my childhood (not to mention being a resident of a small town), I can completely picture the fictional town of Hope Harbor. The combination of a close-knit community with breathtaking views is one I want to be a part of. Fortunately, Irene Hannon has issued an open invitation to her readers. In exchange for a glamorous life as a hot-shot architect in Los Angeles, BJ has settled down in the quaint town of Hope Harbor where she As someone who spent quite a bit of time along the Oregon coast during my childhood (not to mention being a resident of a small town), I can completely picture the fictional town of Hope Harbor. The combination of a close-knit community with breathtaking views is one I want to be a part of. Fortunately, Irene Hannon has issued an open invitation to her readers. In exchange for a glamorous life as a hot-shot architect in Los Angeles, BJ has settled down in the quaint town of Hope Harbor where she gets to set her own rules and work at her own pace. But when attorney Eric Nash slams into her life, she begins to wonder if her quiet life is enough. As the two of them spend time together, they’re interest in each other grows. Eric plans to go back to a high-stress, long hour job and neither wants to get their heart broken so they form a friendship that quickly blossoms after a few false starts. The side characters are what make Hope Harbor unique. BJ’s employees both have interesting and difficult pasts they’re struggling to overcome. Then there are the senior citizens and the resident food truck owner who dishes advise along with his fish tacos, Charlie. A story about letting go of one dream in order to realize a bigger, better one and of releasing yourself from past mistakes, Sea Rose Lane is one of (like the town’s name suggests) HOPE. Cozy up with this one and enjoy. You can almost feel the breeze and smell the salt in the air. ****Revell and NetGalley provided me with a complimentary copy of this book in exchange for an honest and fair review. All opinions expressed are my own. Irene Hannon is a go-to author for me. I have always loved her romantic suspense, and now she is my favorite for contemporary romance. Sea Rose Lane is the second book in her Hope Harbor series. A few characters from the first book make appearances, but it is easily read as a standalone novel. But my recommendation is to start at the beginning of the series — you will not want to miss any visit to this picturesque town on the Oregon Coast that is filled with people that quickly become friends (a Irene Hannon is a go-to author for me. I have always loved her romantic suspense, and now she is my favorite for contemporary romance. Sea Rose Lane is the second book in her Hope Harbor series. A few characters from the first book make appearances, but it is easily read as a standalone novel. But my recommendation is to start at the beginning of the series — you will not want to miss any visit to this picturesque town on the Oregon Coast that is filled with people that quickly become friends (at least fictional friends:) ). DSC06478 Arch rock OregonSo what’s to like about Sea Rose Lane? Besides the true-to-life and endearing characters, the wonderfully detailed setting and a sweet, sweet romance, Hannon crafts a story a reader quickly sinks into. This book is not just a romance, but a story of hope and community. There are several story lines that, while secondary to the romance thread, bring a depth to the book with complex relationships, issue-oriented plot lines and lots to think about! There are also some unexpected characters — two seagulls and a seal — that add a touch of whimsy. And you will definitely be charmed and intrigued by the taco-making artist who seems to know an awful lot about what is going on in this small town. I absolutely loved Sea Rose Lane! A perfect choice for a Summer reading. I spent way more time with big city lawyer Eric Nash and small hometown construction worker BJ Stevens than the length of the book would warrant. It was that good. On the other hand, time seemed to fly when I would sit down to read, in a flash the clock had jumped ahead by an hour, when I know it was only a few minutes! I'm a farmer girl myself, so the big city scenario had no pull for me, but Irene wrote convincingly about its attractions for a young man with dreams. And of course, that's where I spent way more time with big city lawyer Eric Nash and small hometown construction worker BJ Stevens than the length of the book would warrant. It was that good. On the other hand, time seemed to fly when I would sit down to read, in a flash the clock had jumped ahead by an hour, when I know it was only a few minutes! I'm a farmer girl myself, so the big city scenario had no pull for me, but Irene wrote convincingly about its attractions for a young man with dreams. And of course, that's where one of the dilemmas was. I was drawn to the scenes that included eighty-eight year old Eleanor with her cat that might have not been a cat,(my 90 year old mother lives with me) and the Cuban refugee Luis with his story. We were first introduced to Irene Hannon’s Charley and Hope Harbor in a book by that title and it was fun revisiting the town where not everyone is who they seem to be. The second book that takes place in the town is a stand alone book, but I am sure the reader will want to find the other books by Irene at their earliest convenience. Thank you to Stephanie Gibson and Ellen Graf-Martin, Bethany House Publishers for the opportunity to read this novel. I was given a free book through Nuts About Books program for the purpose of a review. A positive critique was not required. The opinions are my own. I have enjoyed Irene Hannon's contemporary books, as well as her suspense books. This series is a really nice, easy going, change over. The tidbits of real life, guilt and how it affects each of the characters lives made this a winner. Plus, you will be totally craving tacos when you are done, hopefully with mango salsa. Charley's Tacos really should come out with a recipe book. I don't even like fish tacos, but I found my mouth watering over the simple descriptions of the flavorful tacos, slaw I have enjoyed Irene Hannon's contemporary books, as well as her suspense books. This series is a really nice, easy going, change over. The tidbits of real life, guilt and how it affects each of the characters lives made this a winner. Plus, you will be totally craving tacos when you are done, hopefully with mango salsa. Charley's Tacos really should come out with a recipe book. I don't even like fish tacos, but I found my mouth watering over the simple descriptions of the flavorful tacos, slaw and salsa. Overall, I loved the immigration twist that Ms. Hannon threw in. It was really informative on the inside, without being "preachy" or "in your face". Charley was one of my favorite sub characters, but of course, I loved the story that carried through with helping the elderly throughout as well. What a beautiful romance! Hannon has a true gift for creating real-life characters readers can connect with. The coastal Oregon setting is gorgeously rendered in this second Hope Harbor novel, and the overall theme of hope resonates through every part of the story. Eric Nash returns to his father’s home in Hope Harbor after being downsized from his high-powered job as an attorney. He finds the house in full remodel mode, and the contractor is an attractive woman named BJ Stevens. Eric didn’t make What a beautiful romance! Hannon has a true gift for creating real-life characters readers can connect with. The coastal Oregon setting is gorgeously rendered in this second Hope Harbor novel, and the overall theme of hope resonates through every part of the story. Eric Nash returns to his father’s home in Hope Harbor after being downsized from his high-powered job as an attorney. He finds the house in full remodel mode, and the contractor is an attractive woman named BJ Stevens. Eric didn’t make a very good first impression when he hit BJ’s truck, and he makes matters worse when he questions the legality of her Hispanic employees. Eric has to make amends with BJ and the workers he offends, and learns a bit about himself along the way. How can BJ trust a man who isn’t planning to stay, and how can Eric learn where he really belongs? Do you like romance? This book is the one. After reading Hope Harbor, I really liked the way in which the author writes romance. With this book was no exception. The story starts a little slow at first, but as you go along, you begin to know and understand better the characters. Also, they have very different personalities, and there are times when it seems they cannot be together. But as time passes and their paths cross, both realize that they are an excellent team, and perhaps more than just a team. This book will appeal to lovers of romance, but also those who enjoy contemporary novels. This the newest book set in Hope Harbor. It is the story of Eric Nash,hometown boy, returning because of being let go by a big city law firm. Eric feels it is end of his dream of being a partner but begins to see that it could be the beginning of a new dream. He meets BJ who is renovating his childhood home into a B & B for his father. It is story of learning what is truly important in life and trusting in God to provide answers. The book was a quick easy read. Irene Hannon, who writes both contemporary romance and romantic suspense, is the author of more than 50 novels. Her books have been honored with three coveted RITA awards from Romance Writers of America (the “Oscar” of romance fiction) and she is a member of that organization's elite Hall of Fame. She has also received a Career Achievement award from RT Book Reviews for her entire body of work. Ot Irene Hannon, who writes both contemporary romance and romantic suspense, is the author of more than 50 novels. Her books have been honored with three coveted RITA awards from Romance Writers of America (the “Oscar” of romance fiction) and she is a member of that organization's elite Hall of Fame. She has also received a Career Achievement award from RT Book Reviews for her entire body of work. Other awards for individual books include National Readers' Choice, HOLT Medallion, Daphne du Maurier, Retailers Choice, Booksellers' Best, and Reviewers' Choice from RT Book Reviews. She is also a two-time Christy award finalist.